I recently got an opportunity to present at MITCDOIQ Symposium in Cambridge, MA. Here is the outline of my presentation where I discussed how today’s CIOs and CDOs are driving digital transformation across their enterprises. 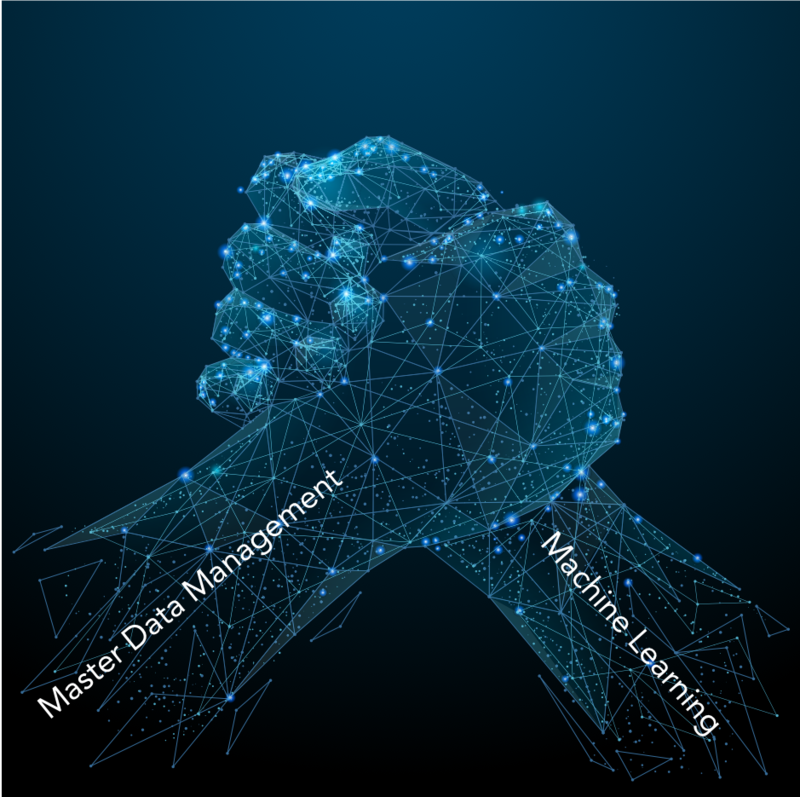 It discusses the key drivers for digital transformation and how Modern Data Management is helping them with their initiatives. You can now download my slides from the event from this page. Today’s business landscape more dynamic than ever. New revenue models, stringent regulations and high customer expectations are forcing organizations to evolve or face being overrun by more nimble competitors. CDOs and CIOs of established business are looking to digital transformation as a key initiative. But what exactly does digital transformation entail? At its core, any digital transformation requires clean and consistent data, reconciled across systems and channels. An enterprise-wide data management foundation that ensures real-time access to reliable data of all types at scale and is non-negotiable. Data access must be democratized across all groups and divisions so that teams can get a 360-degree view of customers, products, organizations and more. However, it’s not just about disconnected siloed analytics. It’s about the next generation of operational data-driven applications that allow frontline business users to gain relevant insight and intelligent recommended actions so they can achieve their goals. This session explores how some of the largest companies in the world are transforming themselves using the same modern data management technology used by Internet giants such as Amazon, Facebook, LinkedIn and Google. Amazon announced that it is acquiring Whole Foods for $13.7B. There are several theories going around about the move, from direct competition with Walmart, to an interesting theory by Blockchain Expert Richie Etwaru, who ties in Amazon’s designs on becoming a pharmacy with the deal, and whether they might go after a healthcare payer next. Some even are speculating that Nordstrom is next on the Amazon shopping list. As the Chief Product Officer at Reltio, my focus is on the data, and helping companies avoid being “Amazoned” (Informal definition: Brick and mortar stores under threat from online competitors). Rewind 1.5 years ago, an article by Phil Wainewright of Diginomica caught my attention. “Whole Foods Market teams with Infor to transform retail.” Credit Whole Foods executive vice president and CIO Jason Buechel with his vision to be more data-driven, and to create one source of the truth. Whole Foods and Infor’s partnership was supposed to result in a next generation, cloud-based retail management system to transform its core operations. Infor, which hosts the software on Amazon Web Services (AWS), intended to make the capability available other retailers in the industry. In the article, Buechel also told author Phil Wainewright of Diginomica that Whole Foods has carefully weighed the pros and cons of that cloud infrastructure being operated by Amazon Web Services (AWS), which is part of a company with which it competes in the online grocery market. If Amazon were ever to breach those commitments I think it would be devastating to their business — and a quite profitable business for them as well. Kudos to Phil Wainewright for this article, because it called out what all Retailers are thinking today. The only way to avoid being “Amazoned” is to run on the very platform, Amazon Web Services (AWS), that can allow me to compete with Amazon. Retailing executives are asking themselves am I okay with that? What are my alternatives? Clearly Whole Foods CIO Jason Buechel knew it was a risk worth taking. He may not have foreseen that Amazon would acquire Whole Foods, but he definitely knew that doing nothing was not acceptable. Other data experts saw this coming as well. Bill Schmarzo, CTO, Dell EMC Services (aka “Dean of Big Data”) posted an amazingly relevant digital transformation blog post, with a Grocery chain case study less than a week ago! As for the question, did Amazon buy Whole Foods for the groceries or the data? Clearly this is an amazing twofer. They get a physical presence that can help their delivery and Amazon Fresh efforts, but they also get the significant dataset of customers who buy groceries from Whole Foods. They now have the information to bring together a complete single view of the customer, from brick and mortar shopping to online purchases. In the end, the data-driven takeaway to all retailers is not just evolve or be Amazoned, but do it fast because no company can afford to spend years working on digital transformation, when their very survival depends on better customer experience, better marketing, better omnichannel engagement, personalization and more. At Reltio, we’ve honed our Modern Data Management Platform as a Service (PaaS) to give companies the agility they need to not just survive, but thrive. Incidentally, Ajay Khanna, Reltio’s VP of Marketing will be presenting on this exact topic at the MITCDOIQ Symposium in Cambridge, MA on July 13th. We hope to see you there.